Newbie with iOS Development Are you thinking of creating your own an iOS app? Very good idea. Developing your own app is very exciting and fun. It would express your another side of creativity. But for creating an iOS app you need to follow some steps at the beginning. The first and basic requirement for iOS development is, a Mac. You need to get a Mac with an Intel-based processor running on Mac OS X version 10.10 (or later). If you are using a Windows Desktop, the cheapest option is to purchase the Mac Mini. If you want, you can buy one from Amazon because you can find used models in low price here. You can use the regular monitor of your PC with the MAC Mini. The basic model of Mac mini comes with a 1.4GHz dual-core Intel Core i5 processor and 4GB memory. It is good enough to run the iOS development tools smoothly. But, you can get the higher model or an iMac with better processing power if your budget is high. 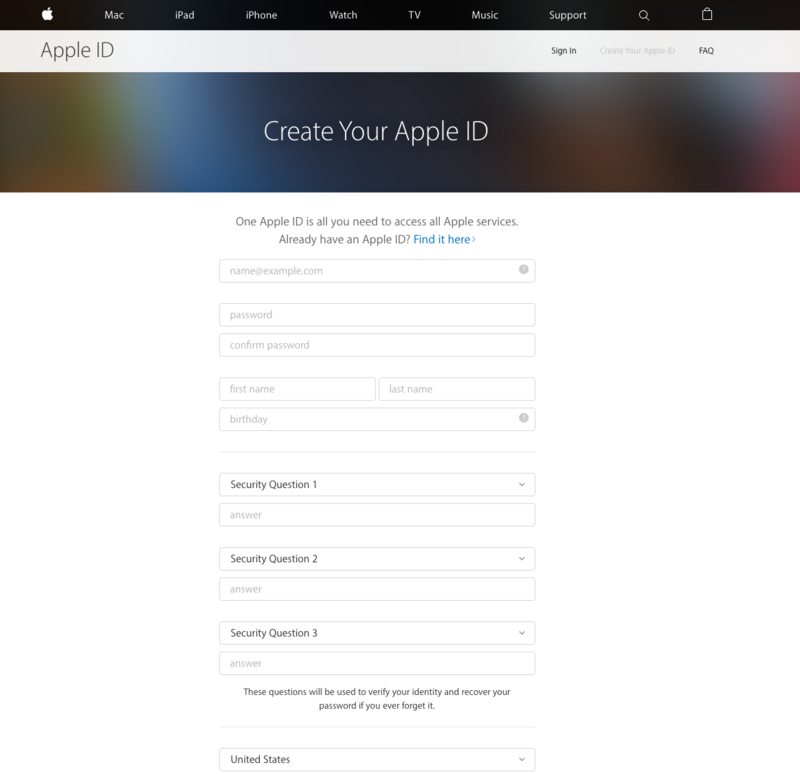 The second step is registration of an Apple ID. It is not a paid iOS Developer Program. It is free and anyone can register as an Apple developer. After registering the developer account, you would be allowed to download the necessary app for the MAC, access the iOS SDKs (Software Development Kits) and other technical document for development. You just need to go to Apple’s website, https://appleid.apple.com/account , for registration. After going to the Apple’s profile you can see a screen like the following Image. The registration process is very easy. 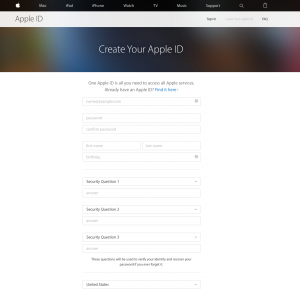 Create a unique Apple ID and fill up your personal information there. After registration of Apple ID, you can download apps for your MAC, from apple website or MAC app store. 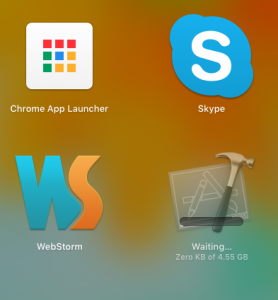 You have to download and install XCode from the app store to start developing iOS apps. 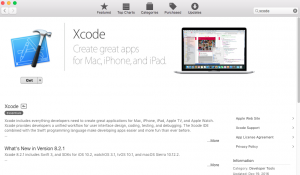 XCode is the only IDE (Integrated Development Environment) and tool provided by Apple to develop iOS apps. You can find everything to start iOS app developing in this IDE. It has the latest version iOS SDK, a source code editor, user interface (UI) editor, debugging facilities, built-in simulators to test apps without real devices and much more. Open MAC App store (Image 2) on your MAC to download XCode. On the search bar of the app store type Xcode like the following Image. Then click on the “Get” button to download it. It will take some time. You can check the time from the Launchpad of your MAC. Once the installation process is done you can see a colored XCode icon in your Launchpad. Open XCode and start developing your first iOS app. Many of us, especially a newbie to iOS development, mix this enroll option with the apple registration. This enroll option is totally optional. At the beginning stage, you really do not need to enroll in the Apple Developer Program ( https://developer.apple.com/programs/enroll/ ). As mentioned before, Xcode has a built-in simulator, with it, you can test and develop your app on your MAC for free. There is a good news for those people who want to test their app on a real device. Apple has some changes in their permission policy. Before XCode 7 the developers need to pay Apple, $99 annually to run their app on a real device (iPhone, iPod or iPad). That means with XCode 7 and the upper version of it, anyone can deploy and test their app on a real physical device. But if you want to submit your app to App Store then you have to enroll Apple developer program, that means you have to pay Apple $99 per year. So just wait until you are ready to distribute your app on the App Store. When you have the confidence then enroll in this developer program and share your app worldwide. What’s next…. 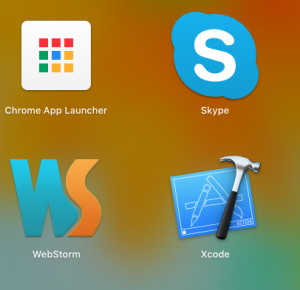 If you have successfully installed XCode on your MAC that means your working environment is ready. Now you need to know the language for developing. You can choose either Objective C or Swift. The second thing you need to understand about is the iOS SDKs. To make the developer’s life easier, Apple provides a lot of SDKs. We just need to learn how these SDKs work and how can we use these to make our app simple.